The North Face Rolling Thunder Gear Bag is an easy way to get your gear out of the country. Bomber Base Camp materials work with the plastic bumpers in order to ensure long lasting durability for all your trips. The zippered external pocket is always accessible so you can pull your passport out at a moment's notice, and the internal mesh pocket splits the main compartment for better organization. The North Face added a Sherpa strap to secure extra backpacks and duffel bags for convenience. Your browser isn't supported for displaying eBay items. 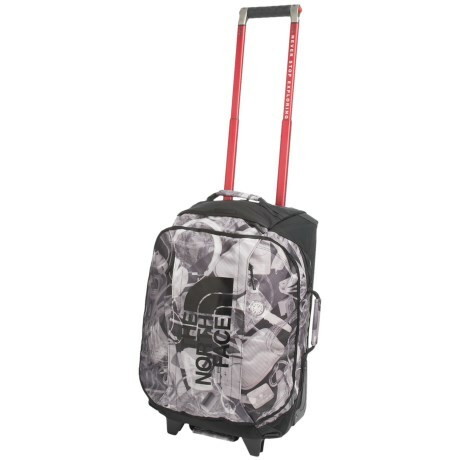 Go to eBay to search for The North Face Rolling Thunder 36in Rolling Gear Bag.